WINNER of the 7th Anniversary Venmo Giveaway, Kaley Davis!!! Kaley receives a box of the New Herbalife Protein Bites Variety Pack, 28 count! Congratulations to Kaley and Gun, the winner of the Iron Table Table Tennis Tournament. Thank you everyone for participating in the Venmo Giveaway and Tournament. Double check your Venmo as you may have won an up-size tea. October marks our 7th year of being the healthy alternative in Bay County to stop in for a meal or purchase product for home. Blue House exists to create a social community for sharing and support of each other's Healthy Active Lifestyle. Blue House has always been a working club with no fee services like wellness evaluations and coaching, meal planning, weight loss and body transformation challenges. Keeping each other on a path to better health. Your tea sized up when you are the 10th! 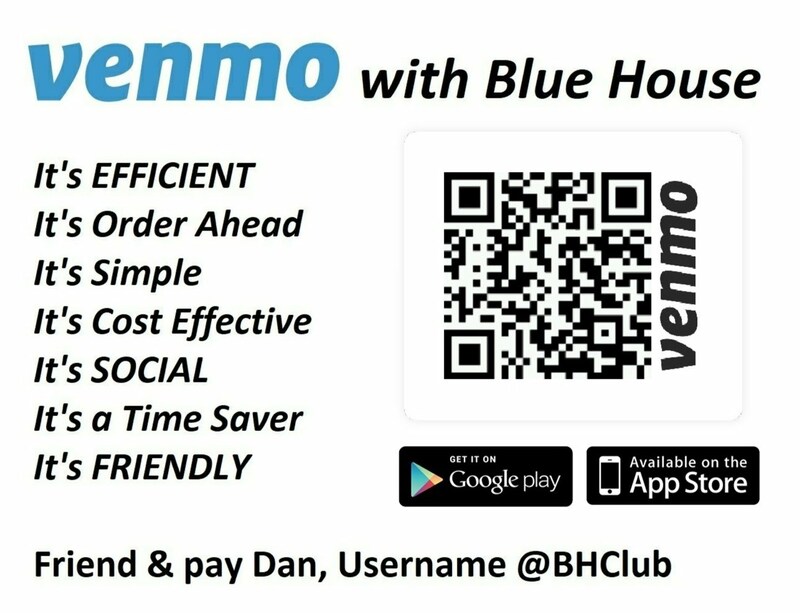 In celebration of Blue House Anniversary, every 10th member to Venmo their order in this month will have their tea sized up to large. So size up with Venmo!